You don't have to give up alcoholic beverages like beer, wine, vodka and whiskey to have a healthy, balanced diet, says "Health" magazine. Because every gram of alcohol contains 7 calories, however, be mindful of what you're drinking to avoid gaining weight. The key is to use moderation and to make low-calorie choices whenever possible. According to the American Heart Association, a man should limit himself to two drinks daily, while a woman should have no more than one. One drink is defined as 12 ounces of beer, 4 ounces of wine or 1.5 ounces of 80-proof spirits. If you have a history of alcoholism, avoid any amount of alcohol. The calories in a serving of beer vary depending on the type you're drinking. 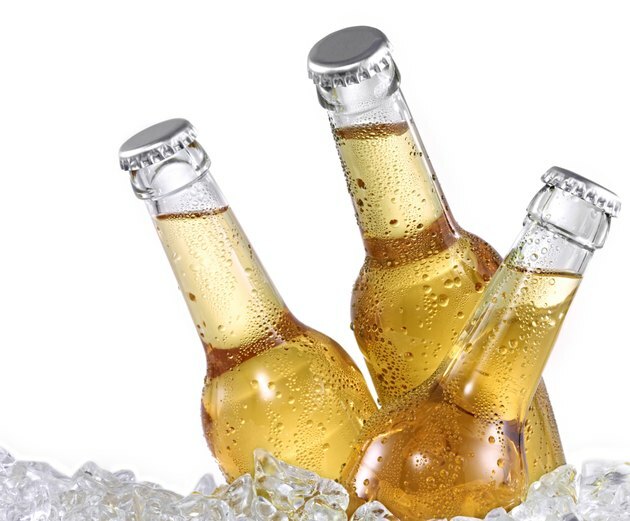 The lowest-calorie beers are light beers, which contain, on average, around 100 calories in every 12 ounces. Dark beers like ales are the next best when it comes to the calorie count, ranging between 125 and 145 calories per glass. Regular beer and lagers have the most calories in a 12-ounce serving, with the average beverage containing between 150 to 200 calories. 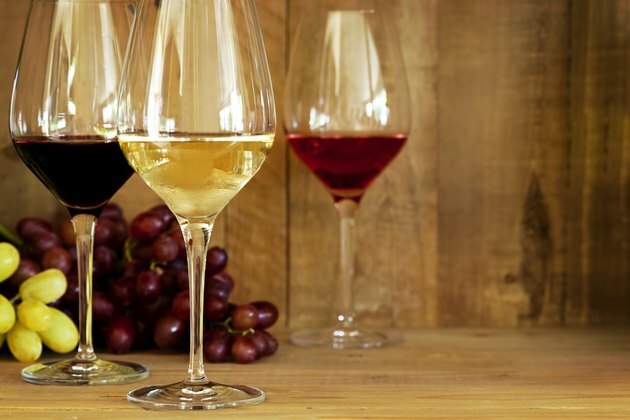 Choose white or rose wine over red wine if you're looking for fewer calories per glass. 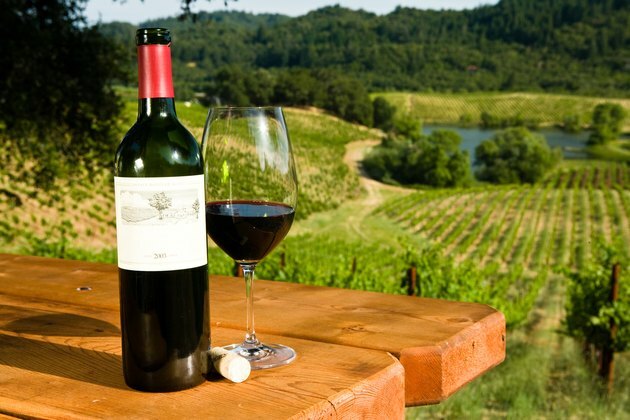 On average, a 4-ounce glass of red table wine contains 100 calories. By contrast, a glass of rose or white wine typically contains around 90 calories or less. The drier the wine, the better: A glass of dry white wine has an average of just 77 calories. Avoid sweetened wines, which have significantly more calories in every serving. 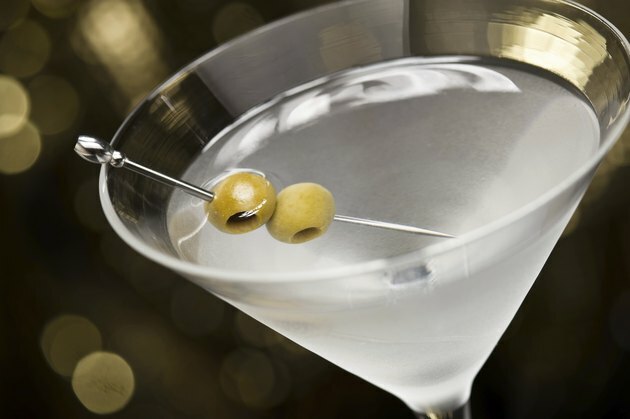 A 1.5-ounce serving of 80-proof vodka contains approximately 97 calories, says the U.S. Department of Agriculture. Vodka that is 90-proof contains 110 calories in every serving; 100-proof vodka has the highest calorie concentration with 124 calories in a 1.5-ounce jigger. If you prefer to drink your vodka with a mixer, choose sugar- and calorie-free club soda over high-sugar carbonated beverages, juice, tonic or bottled drink mixes to keep your calorie intake as low as possible. To add flavor, stir in freshly squeezed lime or lemon juice. On average, 80-, 90- and 100-proof whiskey has the same number of calories in a 1.5-ounce jigger as the amount supplied by vodka. Drink whiskey straight on the rocks or try stirring it into coffee or with a low-calorie mixer. 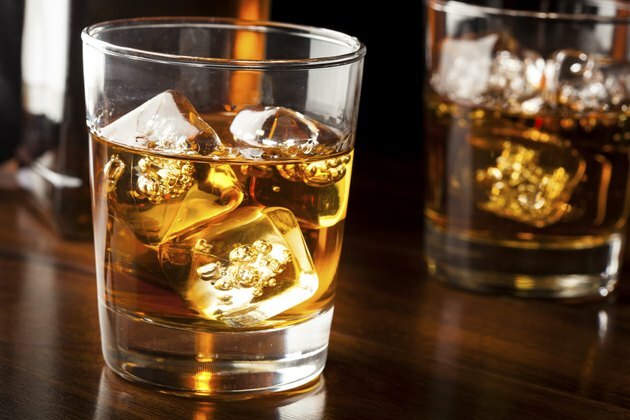 If you prefer your whiskey with cola, be careful when using diet soda to cut your calorie intake: A 2013 study conducted at Northern Kentucky University suggested that drinking alcohol with an artificially sweetened mixer like diet soda may cause you to become intoxicated faster than mixers containing sugar. That's Fit: Guinness - A Dieter's Beer Choice?